Only $50.00! 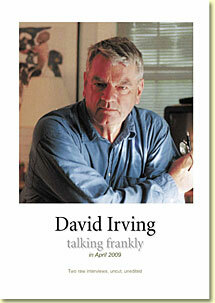 David Irving's standard work on Adolf Hitler and his war, based on documents exclusively available to him and thirty years of research and interviews with Hitler's generals and private staff. Only $50.00! 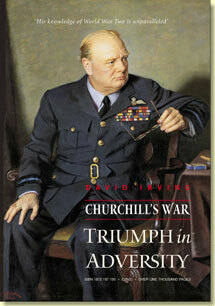 David Irving's standard work on the middle years of Winston Churchill and his war, based, like his work on Hitler, on documents exclusively available to him and thirty years of research and interviews and British and international archives. Only $40.00! 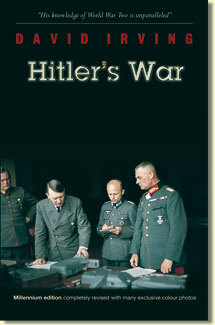 David Irving's history of the inside story of the post-war war crimes trial of Hitler's satraps, based on the private papers and diaries of lawyers, judges and defendants that were exculusively available to the author. 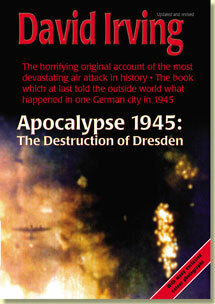 "Apocalypse 1945: the Destruction of Dresden"
"Banged Up: Survival as a Political Prisoner"
Only $35.00! 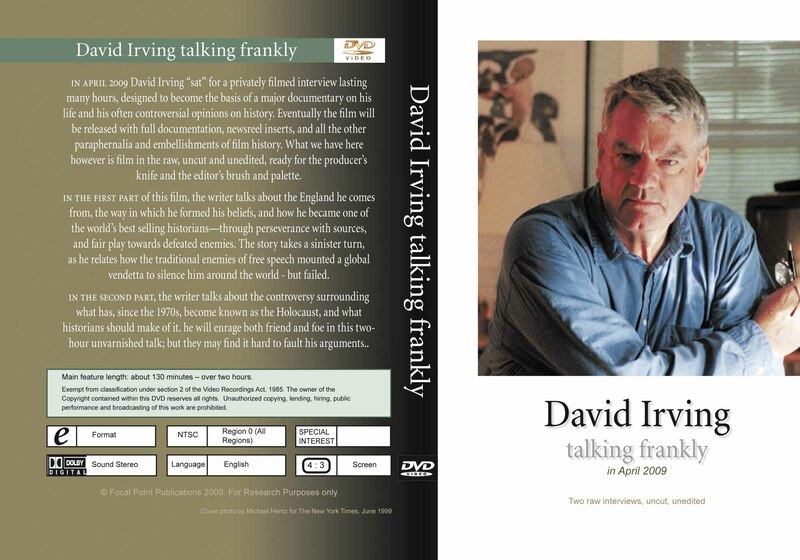 David Irving's book-length account of how he was ambushed by the Austrian Stapo, the secret state police, in November 2005, and sentenced to three years' jail in the country's oldest, grimmest prison for a lecture he had delivered sixteen years before: Go figure. 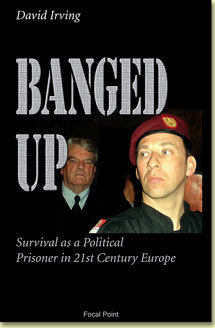 The trial, the imprisonment, and the legal battles are related in a way devoid of all rancour or hatred. Leni Riefenstahl's Classic, "Victory of the Faith"
Only $30.00! Very rare. Ordered destroyed by Hitler, as it soon became politically incorrect (and now banned by the German government too) this is Leni's unknown film of the 1933 Nuremberg Party Rally. Leni Riefenstahl's Classic, "Triumph of the Will"
Only $25.00! 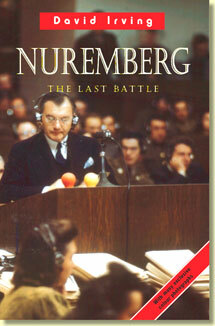 Leni's most famous cinematic work, her brilliant, chilling film of the 1934 Nuremberg Party Rally.